The Smooth System™ is the perfect complement to existing hair removal services, like waxing and lasers. Waxing is the standard for temporary hair removal, and lasers are a great choice to reduce hair on large areas, like the back, chest, or legs. The Smooth System™ fills in the gaps left by these options, offering permanent hair removal and going where no laser can, such as ears and brows. It is ideal for targeting the delicate dermis directly on the face, neck, underarms and bikini area. With reliable and relatively quick results, The Smooth System™ is the answer for medical conditions requiring permanent hair epilation. Scars, tattoos, and irregular follicles are all safely treated. It is the only effective treatment for Pseudofolliculitis Barbae (ingrown hairs and razor bumps), and the discomfort it causes for so many. Never turn another client away. The Smooth System™ is 100% safe for all skin tones and hair colors, so you can offer permanent hair removal to otherwise neglected demographics. Dark skin, moles, and scars are all safely and effectively treatable. Gray, red, blonde, and vellus hair (peach fuzz) are removed as easily as dark, coarse hair — unlike lasers, which only reduce dark hair. The best customers are satisfied customers. They loyally return, again and again, bring friends and family along, and provide free advertising via word of mouth and social media. 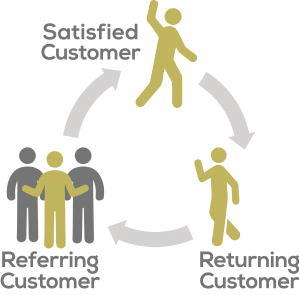 Make your customers happy with proven, guaranteed results. The bottom line is, let’s improve your bottom line. The Smooth System™ is an affordable path to increased business, clientele, and revenue. Our monthly partner program offers a low barrier to entry, and its scalability makes for easy growth as your business grows. The Smooth System™ gives your existing customers a new alternative, and brings in new customers who didn’t think hair removal was even an option. Increased traffic and multiple choices bring awareness to existing services and create excellent cross-sell and upsell opportunities.